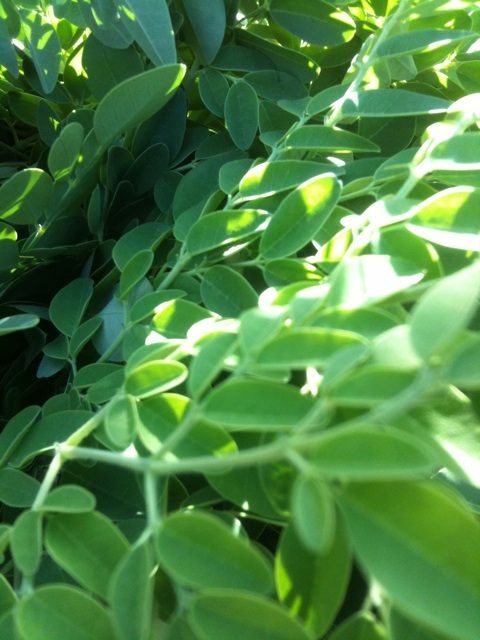 Malungay, also known Moringa is often called the Miracle Tree because of the nutritional value to be found in its leaves, long bean pods, and blossoms. It is also called the Drumstick tree, horseradish tree, Ben Oil tree, marango, moonga, kelor, mlonge, nébéday, saijhan, sajna. They are a generous tree, have been growing wild and feeding communities in regions all across India, Africa, and Philippines. They can be found growing in yards, even schoolyards, all over Hawaii. Its leaves are a bright vivid green. Its bean pods are long (up to a foot long often) and light green, and design-wise quite beautiful with its geometric structure. Malungay leaves contain high levels of vitamin C (reported to be 7 times more than oranges) and A, calcium, protein and potassium. What’s remarkable, and why it is being called a superfood, is that the fresh leaves contain all of the essential amino acids needed by the human body. Flavor of the fresh young leaves bring a nice green, peppery-watercress like bite. Cooked, the leaves are reminiscent of a nutty spinach. – Always wash and dry your marungay leaves and beans before preparing. 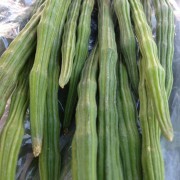 – The young leaves are commonly cooked and eaten like an herby vegetable – added to soups, salads, omelets, pastas. – Young marungay leaves are especially crucial ingredient in the famous chicken soup of Philippine cuisine, Chicken La Uya (Ilocano) or Chicken Tinola (Tagalog). – The flowers can be eaten in salads after being lightly blanched or raw. The roots of young plants can also be dried and ground, and is said to have a flavor similar to horseradish. Choose bunches of leaves and beans free from wilt or browning. Store unwashed in refrigerator, in a bag in crisper/veggie bin for up to 4 days.